Fashion earrings silver finish with pearly white 14mm ceramic pearls. 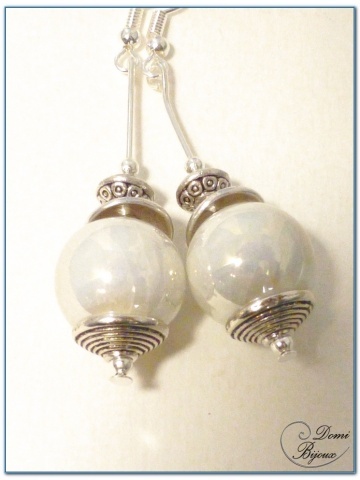 This fashion earrings silver finish are made from two ceramic pearls 14 mm diameter pearly white colour, insered between caps and surmounted by metal pearls. The pearls can slide on the metal rods. The hooks and differents metal elements are nickel free, so without allergies. The pearly white colour of ceramic pearls give very nice reflections. 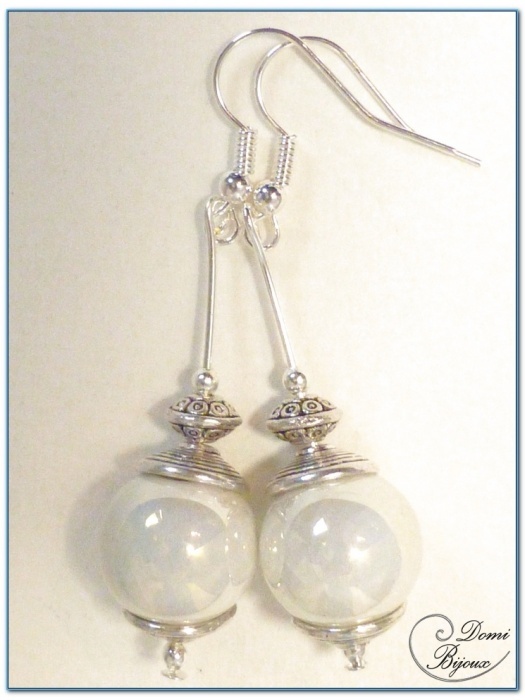 Like all our jewels, this earrings are hand made. 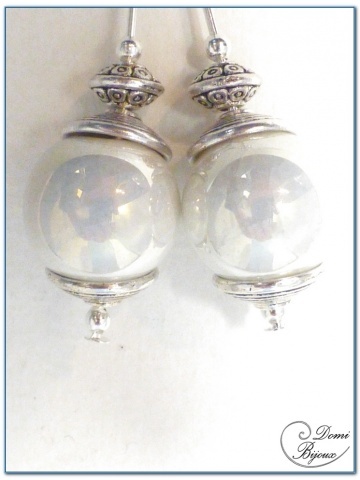 You will recve your earrings in a cloth pouch closed by a link to store them carefully.